Summary: Sixteen-year-old Starr Carter moves between two worlds: the poor neighborhood where she lives and the fancy suburban prep school she attends. The uneasy balance between these worlds is shattered when Starr witnesses the fatal shooting of her childhood best friend Khalil at the hands of a police officer. Khalil was unarmed. Soon afterward, his death is a national headline. Some are calling him a thug, maybe even a drug dealer and a gangbanger. Protesters are taking to the streets in Khalil's name. Some cops and the local drug lord try to intimidate Starr and her family. What everyone wants to know is: what really went down that night? And the only person alive who can answer that is Starr. 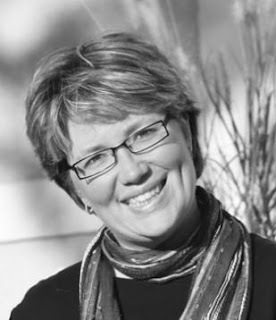 But what Starr does or does not say could upend her community. It could also endanger her life. I first heard of this book due to all of the hype it was getting, from being the #1 bestseller to being talked about/recommended by just about everybody on Twitter. To be entirely honest, I was a bit nervous at first, because my dad has been a detective and a police officer since before I was even born -- which equals many, many years of his time -- and I am constantly proud of him and the work he does, so I was worried that I would be reading a book that basically slammed every single accomplishment he's ever had. But boy, was I wrong. Angie Thomas isn't writing an anti-police book that's just putting blame and shame on people -- she's writing a book that works to give everyone the chance to see the entire story from the perspective of the victim, and just how many things get lost in translation when the media takes these stories to the world. And in my opinion, she did that brilliantly. I also think it was very important -- at least, it was to me -- that Starr had an uncle in the police department. Angie Thomas was able to depict the aspect of the argument that I always try to bring up -- that of course not all cops are evil, the same way that not all minorities are criminals. Starr's uncle was an important character to me because he represented the idea that even people that work for a system can be mature enough to recognize when something it is doing is wrong -- and they're also wise enough to draw a distinguishing line of separation between them and the institution in those cases. It was also interesting to see how Starr juggled her "double life," so to speak -- feeling that she had to act prim and proper in her private school, less of herself and more of putting on a persona, and also having to blend in more with her friends from home when she was interacting in those situations. I feel that constantly having to choose which persona to put forward -- and having trouble blending them, when it came to her friends from school and also dating Chris -- adds a more intricate detail to her complex story, which doesn't help her feel any less lost or confused after the entire Khalil situation. I knew the media skewed stories. That wasn't a secret by any stretch, and if it's a secret to you, then you should probably start paying attention to things more. But this book gave me a story about the media running wild from the point of view that I have had no experience with before, which made it all the more eye-opening and important to me. Through Khalil's story, I learned a lot about what life is like for the victim, the victim's family, and everyone else in their life and community that's involved. This book covered everything. The death of an unarmed black teenager, riots, protests, the feelings of the victims, what it's like to grow up in less fortunate neighborhoods, feeling out of place in a privleleged world, etc. The Hate U Give covers it all and gives readers the full scope of a point of view that they may not have real-world experience with. It even addresses the racist jokes that kids make every day -- such as the ones Starr's friend Hailey repeatedly makes -- without even realizing they're doing so, or realizing they're doing so and feeling that it isn't that big of a deal. She covers all of the bases here, people. This book is basically your #1 tool for reevaluating how you talk and interact with others, how you handle those who come from different backgrounds from you, and how to not immediately soak up whatever it is the media tries to tell you right away, without knowing all of the facts. Starr's bravery was a huge factor for me when it came to rating this book five stars, especially when she knew the trouble she could get in for using her voice. Regardless of the consequences, Starr sets out to do the right thing, because she owes it to Khalil and all of those who have been in situations similar to hers and his, and she knows that your voice is always your most powerful weapon -- more powerful than tear gas and flaming rags could ever be. Overall, I ended up really enjoying The Hate U Give. I enjoyed it a lot more than I ever expected to, and I'd definitely recommend it to everybody. No matter what background you're from, what you've previously heard, or where you lie on the spectrum on the police brutality issue, The Hate U Give is an important work of this generation that everybody needs to read. It'll open your eyes to our current social and political climate in ways you never could've imagined. 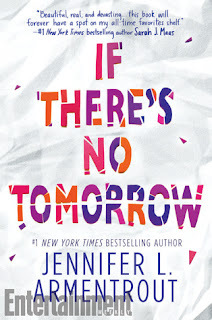 So if this book isn't on your TBR yet, I definitely recommend putting it there! I first heard about this book through all of the other amazing bloggers that were recommending it, and now I'm doing the same to all of you! Hey Guys! Emily here. It's been quite a while since I last posted about college so I figured I'd sum up my freshmen year for you. I feel like I actually got really lucky when it comes to freshmen year of college. I really didn't have a hard time at all. My classes were fairly easy and the work not to difficult (when I wasn't waiting until the last minute to get everything doe). As for my professors, some I loved and some I didn't. As for the whole "College Experience", I honestly didn't have that. Farmingdale is largely a commuter school, so it was hard for me to get involved. I never really knew when anything was happening and when it was, I was either at home studying or at work. I would love to transfer somewhere new to gain more of an experience, but I still have no clue what I'm interested in majoring in. This year has come to a close faster than I imagined and I cannot wait for summer. I'm so over 8AM classes, walking through campus in the rain, fighting for a parking spot, and listening to professors drone on for an hour. Although it sounds like I absolutely hate college, I'm pretty excited for my sophomore year, especially the classes I'll be taking *hint hint Abnormal Psych hint hint*. 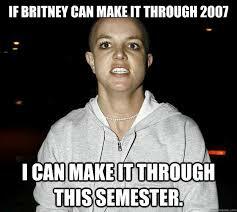 For any other college students, I hope you make it through these last few weeks, as well as those dreaded finals. Teaming Up With RogueCart: 10 Books You MUST Read Before The End Of 2017! Today on the blog, we teamed up with RogueCart, an online list-making site, to show you just how helpful that can be to bloggers and bookworms like us. I am infamous for having ten million notebooks lying around, scribbling shopping/packing/reading lists in all of them, and then losing them or not being able to remember which list I put in which book. So, needless to say, an online system where I didn't have to worry about that was a very welcome concept to me. So with the help of my handy dandy new RogueCart account, I made a bookishl list about the 10 Books You MUST Read Before The End Of 2017! The list contains some popular favorites of mine that weren't necessarily published this year, as well as a few newbies. All of the books on the list, however, are equally as special in the realm that you simply cannot go another minute of your life without having read them, so finishing them by the end of this year the latest is advised! So click the link above to check out my list and see if you've read any of my absolute favorites! Comment down below if you have, or if any of those books were already on your TBR. (And if they are, I recommend moving them up immediately.) I'm curious to see how many of my favorite books are also the favorites of you guys! I'd like to extend another big thank you to RogueCart for reaching out to us and letting us know about their awesome service! 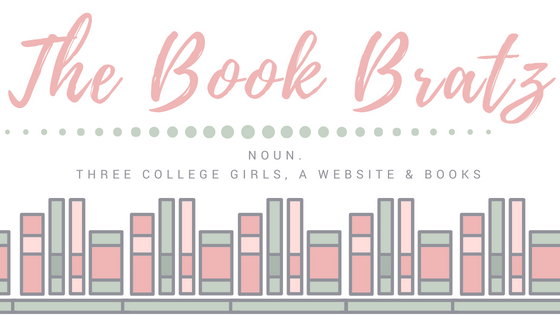 Before this post, I had no idea that something like this existed, and now I am already making plans to utilize the website for packing lists, Secret Santa parties, and even bookish wishlists when the holiday season starts to roll around. If you're interested in checking them out further, explore their website and Twitter! Hello, everyone! On this lovely Saturday, we bring to you a guest post. But not just any guest post -- a guest post by an author that we have really grown to love, and whose stories captivate us and punch us in the feels every single time. That author is none other than the amazing Samantha Chase*, and she's here with a guest post about her writing process/coming up with characters for her story. We also have a little bonus section about her new story, The Bridal Squad, which is also worth checking out! Hey, Girls!! Or should I say, Hey, Bratz!! Thank you so much for having me back on the blog!! You know, I think I can envision the girls of THE BRIDAL SQUAD being the kind of girls you probably know or are friends with – you know, a core group of girls who’ve been friends for ages and just know how to be there for one another. Q: So these stories are all a little more women’s fiction than romance, although there are definitely romantic elements. What made you decide to do that? Romance is always going to be my number one choice of what to write, but I have found that I really enjoy writing about the friendships between my characters. Especially the female characters. I discovered that early on in my books that the scenes that I normally write between the heroine and her best friend are the ones that I love the most. So writing an entire book based on that relationship just seemed like something that I wanted to try. But at the end of the day, I love writing romances and that’s why each girl in the series will have some sort of romantic story line as well. Q: Are any of the girls based on people you know? The character of Angie is definitely based on a friend of mine – it’s all her personality traits, but none of the life experiences. Angie is definitely a character and I think I had the most fun writing her because I literally knew exactly what she’d do or say in any given situation! But all of the rest of the girls are more of a combination of people that I know rather than any one individual person. Q: In THE BRIDAL SQUAD you talk a lot about fitness and taking classes at the gym. How often do you work out? LOLOLOLOL!!! If we were to simply put a picture of me here rather than words, you’d still get the same answer – Not a lot. I recently bought a bike desk (and yes, it is exactly what you think it is) but other than that, I do not go to the gym at all. Back in college, I had a friend who taught aerobics and she used to drag me to classes with her so that she could see at least one face she knew in the room. I always went begrudgingly but I used that memory to help the girls when they had to go to one of Julianne’s classes in the book. Q: The sneakers. Oh, my gosh…the SNEAKERS!! Where did you get them?? Funny story. The cover of FRIDAY NIGHT BRIDES featured a pair of sparkly white shoes and everyone loved them. For THE BRIDAL SQUAD I wanted a pair of sparkly sneakers. Easy, right? Um…no. There are ZERO royalty free images of sparkly white sneakers to be found. ZERO! I had people take some pictures of sneakers they had but the lighting wasn’t right or the style wasn’t right and it was getting close to the deadline so I went on eBay and found a pair and bought them. I didn’t care about what size they were, I just needed a pair of sparkly sneakers! Then we had a photographer come and take the pictures right in my house and VOILA! This cover is the first time EVER that I did a photoshoot specifically for it and it was a lot of fun! And the good news at the end of it all: The sneakers fit!! Well, they’re a little snug, but I’m stretching them and I plan on wearing them to the RT Booklovers Convention in Atlanta! Q: What’s next for the girls of Enchanted Bridal? I am already planning a third full-length book for next year and just like what you saw here in THE BRIDAL SQUAD, you’ll get guest appearances by all of our girls. However, there is going to be a novella coming out in the fall that will feature the new girl to the Enchanted Bridal shop team – Penny ☺ So be on the lookout! Thank you for having me here today and I hope you all enjoy THE BRIDAL SQUAD!!! Summary: The Friday Night Brides are back! And this time, it’s their first season running the business! It was one thing to just model in a weekly fashion show, it’s quite another to be the ones calling the shots and making future brides’ dreams come true. Their first client has them wondering if they’re really prepared for their new roles! The Bride: Julianne is big on fitness, small on patience. And planning her wedding is grating on her every last nerve. As a Zumba instructor, she loves the freedom to create and choreograph her routines and help others achieve their goals, but having to stand back and let others choreograph her big day has her wanting to hip-hop toward eloping! The Matron of Honor: As the only married member of the bridal party, Natalie considers herself the aficionado on all-things weddings. And even though her time in the spotlight is over, that doesn’t mean she isn’t full of ideas on how her best friend’s wedding should look and feel and be! And it doesn’t take long for her to realize that maybe it’s not so much that she’s wanting to help as it is that she’s afraid of her own honeymoon ending. The Bride’s Sister: Nothing screams unwanted relationship advice than when your younger sister gets married before you. It’s not that Harper doesn’t want to get married, after three failed engagements she really does! But finding the right man to walk down the aisle with is proving harder than she thought. And it gets even harder when constantly being compared to the perfect couple! The Reluctant Bridesmaid: There is nothing Kayla wants more than to see one of her best friend’s get married…if only the whole process wasn’t so exhausting! Travel and adventure and being on the go fuels her. Having to stay in one place for an extended period of time while wearing taffeta? Not so much. Her job tends to take her away on a moment’s notice and this is one time she may have to pass up the trip of a lifetime in the name of friendship. It was so great having Samantha here today to talk about her writing process and her new book -- it's always a pleasure! 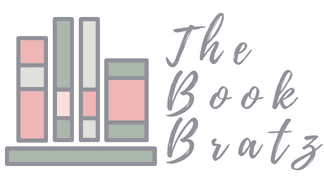 If you like what you read, add The Bridal Squad to your TBR! It's a new month, which means that it's time for some new book recommendations! I may be about two weeks late on this, but I had some trouble deciding which books I wanted to feature this month. But here I am now, ready to share this month's book recommendations with all of you! So without further ado, here are my recommendations for April! Why I'm Recommending It: I absolutely loved this series from the minute it came out. 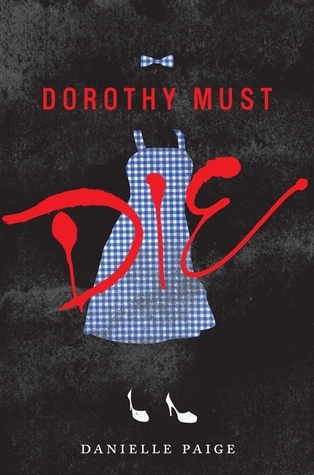 I thought it was such a unique idea, re-imagining The Wizard of Oz with Dorothy as an evil dictator of Oz. Now that the next book in the series just came out, I'm pushing this book on everybody I know. 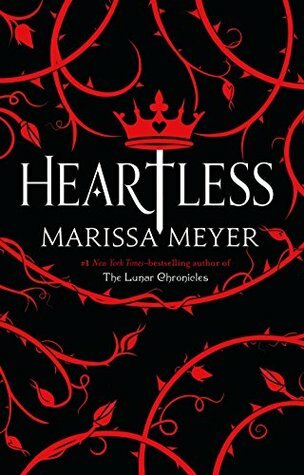 I'm not a huge fan of fantasy stories, but this one had me hooked from the get go, and I'm absolutely in love with the entire series. If you want to read my review, you can click here. Why I'm Recommending It: I am the biggest geek ever, and this book just reminded me so much of all of the fandoms I'm a part of, and also preparing for BookCon. The entire time I read this book I was fangirling right alongside Elle. If you've ever been part of any fandom (whether it's for a singer, a book, a movie, etc. ), I totally recommend giving this book a try. You'll find a lot to relate to and you'll be so glad that you did it! 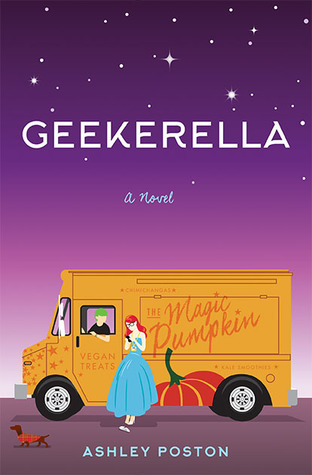 You can read my review of Geekerella by clicking here. Why I'm Recommending It: If you have any interest in comedy, this book is for you. 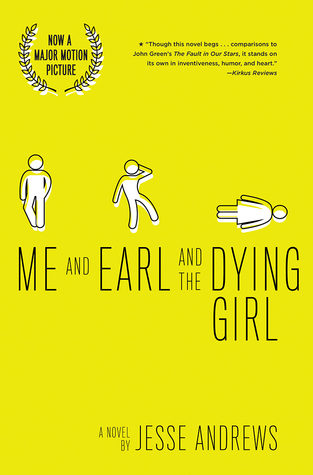 The title seems a bit shocking at first, but all of the characters are so sarcastic and hilarious that this book had me laughing from start to finish. I bought this book after BookCon two years ago, and I finished it in a little under a day, because I just wanted to keep reading and laughing more. If you want to read my review, you can click here. Summary: The illustrated story of a lonely alien sent to observe Earth, where he meets all sorts of creatures with all sorts of perspectives on life, love, and happiness, while learning to feel a little better about himself—based on the enormously popular Twitter account. Here is the unforgettable story of Jomny, an alien sent to study Earth. Always feeling apart, even among his species, Jomny feels at home for the first time among the earthlings he meets. There is a bear tired of other creatures running in fear, an egg struggling to decide what to hatch into, a turtle hiding itself by learning camouflage, a puppy struggling to express its true feelings, and many more. The characters are unique and inventive—bees think long and hard about what love means, birds try to eat the sun, nothingness questions its own existence, a ghost comes to terms with dying, and an introverted hedgehog slowly lets Jomny see its artistic insecurities. At the same time, Jomny’s curious presence allows these characters to open up to him in ways they were never able to before, revealing the power of somebody who is just there to listen. You guys. You guuuuuuuuuuuys. I have been a blogger for a long time, and I have never been as excited about an ARC as I was when I received my copy of Jomny's book. I was seriously dancing around in excitement. 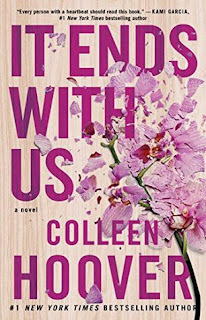 We've received tons of ARCs in our blogging career, but this was one that I was absolutely dying to read, being such a huge fan -- so I could barely contain my excitement when I opened a copy from Harper in exchange for an honest review. Speaking of typos, I knew that this book would be full of them (being that that's Jomny's usual style), so I was a bit worried that it'd be difficult to read. (I had started having horrible flashbacks to reading Flowers for Algernon during freshman year of high school.) However, it was surprisingly easy! I didn't stumble through the book like I thought I was going to. It was a quick, easy read that I managed to tackle in one sitting, and I was left feeling a little empty and sad when I finished, hardly able to believe that it was over. What I loved most about this book is that it made me feel like a better person. There are so many important quotes that come up about friendship, finding yourself, love and loss, etc. -- and all of these quotes, which are said in a silly or not very formal context, still manage to hit home. While reading this book, there were several moments where I had sat back and gone, "Whoa." Jomny would hit me with some super deep and inspirational quote that made me strive to be a better person. Once I read the final page and closed the book, I felt a feeling that is difficult to put into words. For starters, I read the entire thing on a beautifully sunny Monday in between classes, out on a picnic blanket on my school's great lawn, with our beautiful, old, and most iconic building in sight. So once I finished the book, my heart already felt like it was bubbly and happy and soaring, and then I took a second to look around me. And in that moment, I was more grateful for this Earth and my life and my education and my friends than I have ever been. It's a book about being different. It's a book about exploring, and laughter, and love, and friendship. It's about nature and changes and appreciating both the smaller and the larger things in life. It teaches you not to make assumptions about big, scary-looking bears that just want friends. And it also teaches you to walk more softly across the grass, to take care of the smaller organisms living within it. Overall, this book made me want to be a better person. It made me want to go out and explore, walk through a park, or sit in the sand and listen to the ocean. It made me want to experience life out of the four walls of my room. It made my heart feel light and happy. It made me want to go hug my friends and tell them how much they mean to me. It made me want to write this review as soon as possible, because it's very rare for someone to feel this way, and I wanted to capture it all correctly before that feeling was once again replaced with the stress of everyday life. I recommend this book to absolutely anybody and everybody. It will take less than two hours of your time, and you'll be so glad you did. 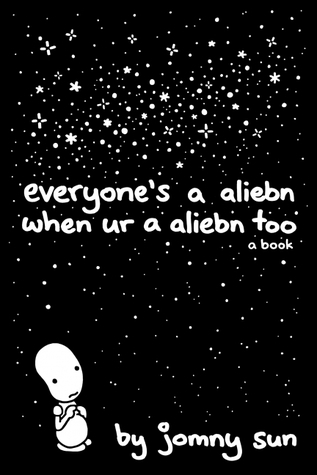 I never expected to learn so much about myself from a graphic novel about a little alien written by one of Twitter's most popular personalities, but here we are, and I'm glad it happened. Summary: Sometimes it is the one who loves you who hurts you the most. Colleen Hoover does it yet again. This book was raw and real. Every word spoken came straight from the heart in both good and bad ways and it made the story feel so real. I was a mix of emotions the entire read. This book does contain abuse so this can be a hard read for some. The book begins with Lily Bloom meeting Ryle Kincaid for the first time. He's got a confident air about him the minute they start talking and I love that. Although he can also come off a little arrogant. There's also an undeniable spark between them. As their relationship grows, things from Lily's past come rushing back to her at full speed and she's not sure how to react. Especially when Atlas Corrigan, one of the biggest parts of her past, returns. Lily is such a powerful and strong character. The things she's been through and the decisions she's had to make, make her such an admirable character. Honestly every women should be like her. Ryle is the handsome neurosurgeon, yes neurosurgeon!, who loves to avoid relationships. You later find out that he experienced something no one should ever experience as a child. This leaves him with a strong temper that may ruin him and Lily. Atlas it also a strong character, especially after what he went through as a teenager. Him and Lily confided in each other as teenagers leaving them with a close understanding for what they were both going through. I'll start off with some thing I loved about this book. I loved that Riley was able to finally find happiness with Lily. The love and attraction between the two of them was crazy. The 'naked truths' they would share were honest and adorable. It gave them the chance to be completely and openly honest with each other. I loved the flashbacks to Lily's teenage years through her letters to Ellen. They helped me get an understanding on what she said to Riley when she said she had fell in love with a homeless boy. That homeless boy was Atlas and Lily helped her in his desperate time of need. I did not like Ryle's temper. This was extremely difficult for Lily because her father would beat her mother. Lily couldn't believe she had let herself make the same mistake her mother had. Although, Ryle isn't like her dad at all. Ryle is caring and loving and willing to try and control his temper. His temper was the result of him shooting and killing his older brother as a child. This broke him and causes him to loose his temper when angry. 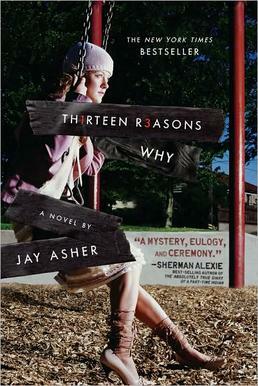 All in all, I loved this book. It was one of pure love and raw hurt. It's a book you cant put down. The minute you start, you'll want to keep reading until you're done. If you get the chance, give this or anything by Colleen Hoover a read and you wont be disappointed. comeback. But her sister had other plans. As part of the will, Charlie must work with *him* to create a memorial scholarship in her sister’s memory. The same *him* Charlie fell in love with three years ago while working at a summer camp. The same *him* she dumped to protect his heart. deported back to England where he’s no longer welcome. He doesn’t have time to work on a memorial scholarship with *her*. The same *her* who shattered his heart without explanation or warning. The same *her* he’s never gotten over. ​Unable to agree on a benefactor for the scholarship, Nate and Charlie challenge each other to a winner-takes-all competition. They both know the only way to win is to turn up the heat and tease one another with the one thing they both want: each other. But as sparks fly, their true feelings resurface. Nate and Charlie must decide if their love is worth the effort or if they'll allow their disastrous past mistakes to destroy their chance at forever. she’d write a book about college students, never expecting that to come true! always get their happily ever after. (formerly titled IF YOU'RE EVER IN TOWN) was the 2016 YARWA winner for the New Adult category. Two $15 Amazon Gift Cards are up for grabs! Summary: When Griffin’s first love and ex-boyfriend, Theo, dies in a drowning accident, his universe implodes. Even though Theo had moved to California for college and started seeing Jackson, Griffin never doubted Theo would come back to him when the time was right. But now, the future he’s been imagining for himself has gone far off course. To make things worse, the only person who truly understands his heartache is Jackson. But no matter how much they open up to each other, Griffin’s downward spiral continues. He’s losing himself in his obsessive compulsions and destructive choices, and the secrets he’s been keeping are tearing him apart. If Griffin is ever to rebuild his future, he must first confront his history, every last heartbreaking piece in the puzzle of his life. I've been a fan of Adam Silvera ever since I read More Happy Than Not (and my review can be found here). So when I heard about History Is All You Left Me, I immediately jumped at the chance to add it to my TBR. (I also did this with They Both Die At The End, but I have yet to get my hands on that one, so that's a story for a different time.) Anyway, Silvera's writing style is just so relaxed and comfortable that I truly feel like I am in the character's head. He also includes a lot of plot twists and elements into the story that keep you on the edge of your seat, so reading one of his stories is always a good time. As the summary explains, Griffin and Theo were madly in love and having a wonderful, adventurous, spectacular life before Theo got accepted to college and moved all the way from New York to California. And once he got there, he met a boy named Jackson, and slowly but surely started falling in love all over again and leaving Griffin behind. And then Theo dies in a tragic accident. And if that isn't enough for Griffin to handle, now Jackson's in New York. So...yeah. The story starts off in a pretty messy situation. And it's highly uncomfortable for everybody involved. Overall, I really enjoyed this book. There were some parts that I wasn't too keen on, which I'll explain first, but then I'll wrap up this review with the aspects of the story that I really enjoyed, because after all, I gave this book four stars for a reason! For starters, I didn't like Theo's character at all. I felt that at times he could be indecisive, clueless, and super selfish. I mean, he told Griffin he loved him and that he always would, and then less than two months after leaving, he falls for a different boy. And to make things even worse, he still tries to be close with Griffin (even going as far as to kiss him when he comes back for a visit) while this is going on. Throughout the entire story it just seemed that Theo was being totally indecisive and acted as if he could get whatever he wanted -- get the best of both worlds, Hannah Montana style -- with zero repercussions. And that was a serious thing that bothered me about his character. Of course it was upsetting that he drowned, and nobody deserves to die by any means, but the parts of the story where Griffin was thinking about how great and wonderful Theo was made me pause. Because while there were many positive aspects of Theo, the decisions he made regarding Griffin and Jackson were very selfish. I guess I didn't like him that much because in my own personal opinion, if my boyfriend was in limbo between me and another guy, I'd let him have the other guy without question, because nobody that truly loves me would ever even contemplate the idea of trying to fall in love with another guy. I guess since that's how I would personally handle it, that's why I didn't like Theo's character very much. I also wasn't a big fan of Jackson. In addition to being the "other man" in the situation, I was severely turned off to him the moment that he had told Theo to cut Griffin out of his life. Newsflash: If your significant other ever tells you to cut certain people out of your life, whether it be friends or family or whoever, you break up with them immediately. Nobody has immediate control over your life except you. And anybody who tries to take that control is not somebody worth having aroumd. I felt that the duel perspective of the story between the past (the "History") and the present (the "Today") was very interesting. You get to see the amazing, happy life that Griffin and Theo had before all of this drama went down, and then you are brought back to the present to see how much of a struggle it really was for him and everybody that Theo left behind. It was also interesting that Griffin was dealing with his grief while also having mental tics such as OCD. I feel that these elements added to the complexity of his character, which made this story much more than just a boy grieving over the tragic death of his boyfriend. In addition to handling the grief of being left behind, Griffin also had to handle the complexities of his mental illness, which was just another struggle loaded onto this poor guy's plate. All in all, I really enjoyed History Is All You Left Me. 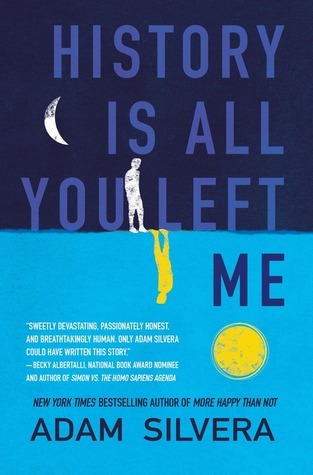 Adam Silvera is a spectacular writer and this is the second story of his that I read and got hooked on, so I will definitely say that I'm looking forward to reading more of his work in the future! If you are on the fence about reading this book, I definitely recommend putting it on your TBR. You won't regret it!